Relaxing after a terrific scallops and potatoes dinner with a bowl of Esoterica Dorchester in a 2018 smooth straight flame grain Basil Meadows Merchant Service "Bing" replica with an aluminum band and black ebonite stem. Sox lead the Yanks 6-0 in the 4th. Suzy and Molly are busy chasing each other around the den. 1999 Edgeworth Ready Rubbed in a 1984 medium bend black grain etched Savinelli Non Pareil 9310 poker with a horn ferrule and a black vulcanite stem. 2011 Villiger Virginia No. 444 in a smooth straight pre-transition Barling 313 T.V.F. EXEXEL pot with a black ebonite stem. Now smoking Peterson Wild Atlantic in a 2002 Ser Jacopo Delecta Fatta A Mano R1 sandblast Rhodesian with a smooth extension at the shank with a black acrylic stem. Almost half way through this bowl of Wilke Vermont Maple Cavendish in a medium bend egg 2017 Royal Meerschaum Dragon meer with a black and cream swirl amber colored acrylic stem. 2006 C&D Yorktown in a brown straight smooth Paul Perri billiard with a black acylic tapered stem. May you be blessed beyond all expectations! Last smoke of the day is 2012 Virginia Spice in a 2004 smooth long shank Canadian Trever Talbot Ligne Bretagne Faite en Bretagne 4/3 with a black vulcanite stem. Watching Match Game 77. Charles Nelson Reilly is smoking a Danish style pipe with a horn ferrule. 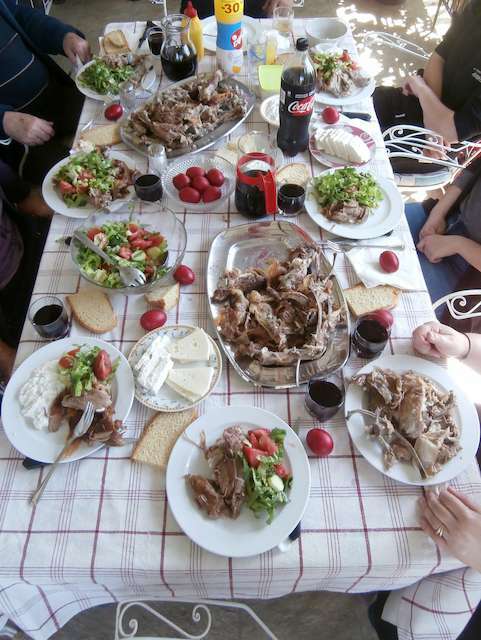 Dear friends, this was our Easter meal with Lamb according to the GR tradition. Just finished smoking Uhle’s Perfection Plug Burley in my old reliable 1986 smooth Peterson Kildare 999 Rhodesian with a black vulcanite p-lip stem. Simply Apple is my drink. Watching The Andy Griffith Show. 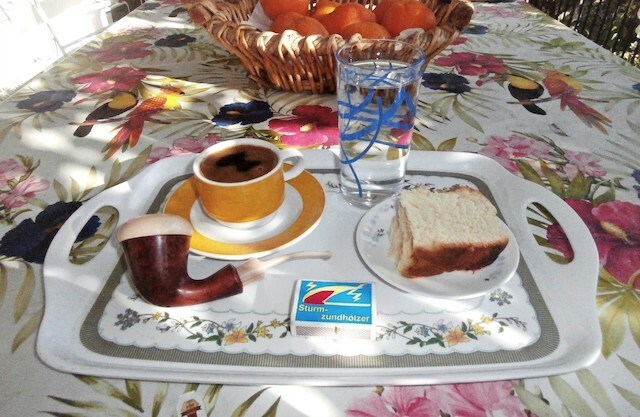 Not far from finishing this bowl of Edward G. Robinson's Pipe Blend in a 2014 Basil Meadows smooth slight bend squashed tomato with an aluminum band and a black pearl acrylic stem. A bottle of Kutztown Grape soda made with pure cane sugar is my drink. Time for the Braves-Cubs game. 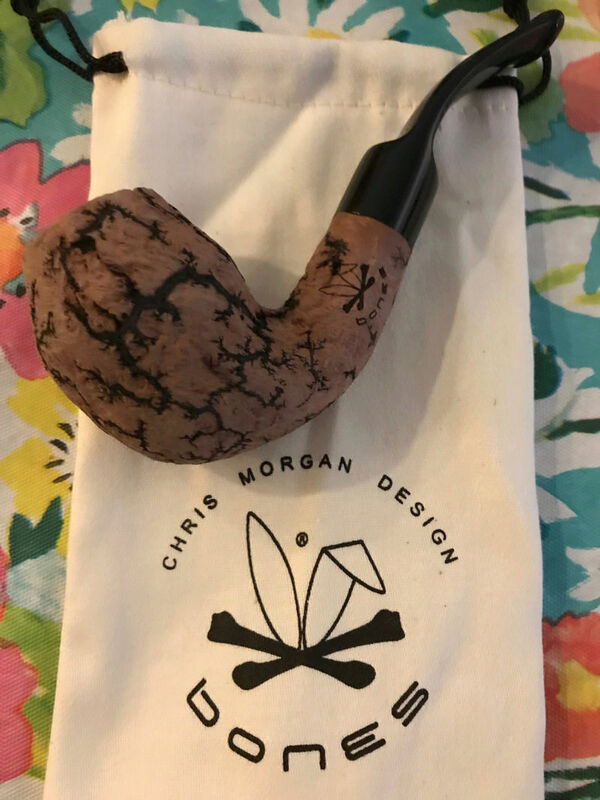 Samuel Gawith St James Flake in the Cayuga Oiled Briar. A cold barley pop to wet the swab. Finally revisited Solani Silver from a '12 purchase. Red ginnies and Kentucky. Very glad I did. In the estate Ser Jacopo Per Aspitra Cherrywood.